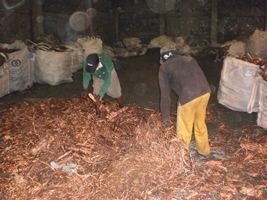 Tidy Mart specializes and actively involved in the Copper Scrap trading. 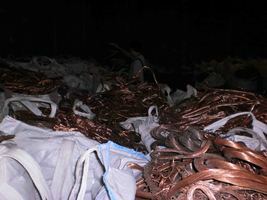 Tidy Mart deals with various kind of Non Ferrous Scrap such as Copper Ingots, Copper Plates, Copper Rolling, Copper Wire Scrap, Copper Cathodes, & Copper products, Copper strips etc. 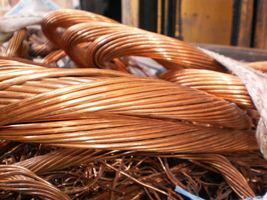 Tidy Mart offering highest level of quality service, committed to reduce your purchase costs by sourcing all kind of Copper scraps like Copper Wire, Heavy Copper, Copper Wire Nodules, Light Copper at a competitive price. Shall consist of No. 1 bare, uncoated, unalloyed copper wire scrap nodules, chopped or shredded, free of tin, lead, zinc, Aluminium, iron, other metallic impurities, insulation, and other foreign contamination. Minimum copper 99%. Gauge smaller than No. 16 B & S wire and hydraulically compacted material subject to agreement between buyer and seller. Shall consist of No. 2 unalloyed copper wire scrap nodules, chopped or redded, minimum97%copper. Maximum metal impurities not to exceed 0.50%alu- minimum and 1%each of other metals or insulation. Hydraulically compacted material subject to agreement between buyer and seller. Tidy Mart also buys and sells mill secondary and surplus stock of HR coil, CR coil, Wire Rods, plates, billets, slabs, blooms and forging grade round bars. We are a professionally managed company with a team of competent, qualified, and trained staff who have the capability to customize solutions according to your requirements and objectives. DLC payable 100% at loading port, upon seller presentation of documents for payment are Non-Negotiable Bill of Lading, SGS Quality & Quantity Certificates and Commercial Invoice. We invite all serious buyers to get in touch with us, for more details please send your requirements to our mail address. Feel free to contact us to know more about our professional Copper Scrap trading which includes Barley, Berry, Birch, Candy, Cliff, Clove, Cobra, Cocoa, Dream etc. 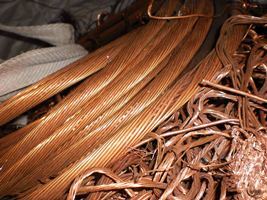 Tidy Mart Offers Customized Copper Scrap Trading Services.